The Real Techniques Brush Crush 300 is ideal for an even powder application. 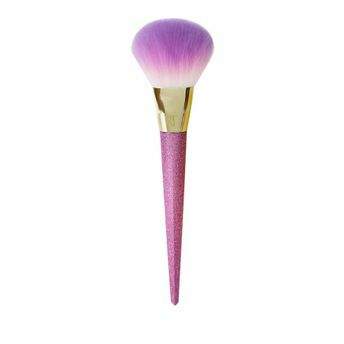 The curved brush head distributes powder products lightly over the face. Inspired by the latest holographic, pastel and glitter trends, this limited edition has been developed in collaboration with makeup artists and vloggers Sam and Nic.